The Oscar Mayer Wienermobile is one of the most iconic food trucks. What else is it than a food truck, given it's a food-shaped truck? 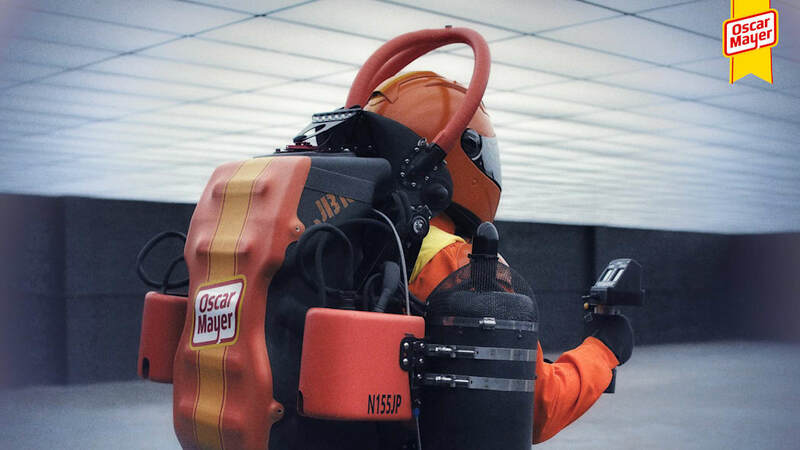 But Oscar Mayer wants to boldly go where a truck cannot, and naturally the solution for that is to employ a jetpack. 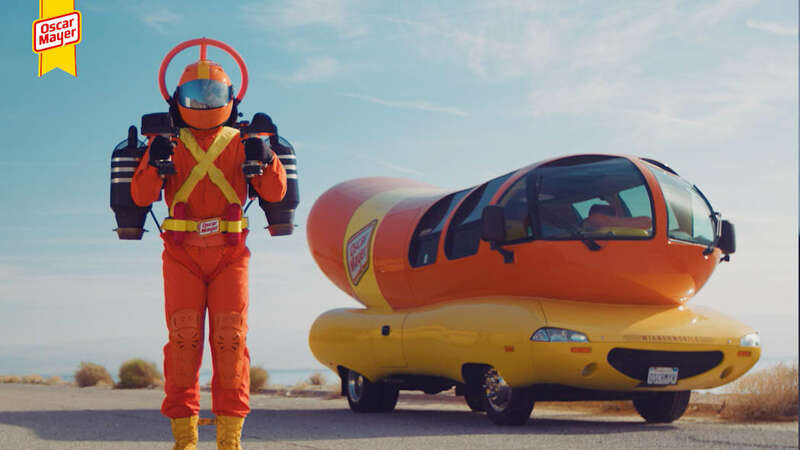 The "Thunderball"-style jetpack, flown by a superhero character called Super Hotdogger, follows the introduction of Oscar Mayer's Wienerfleet a year ago. The Wienerfleet comprises the classic Wienermobile alongside a wienerized Mini, a Vespa with a sidecar and a Wienerdrone, all of them with the instantly recognizable red-and-yellow wiener livery. But the jetpack might be the most inventive Wienerfleet addition so far. 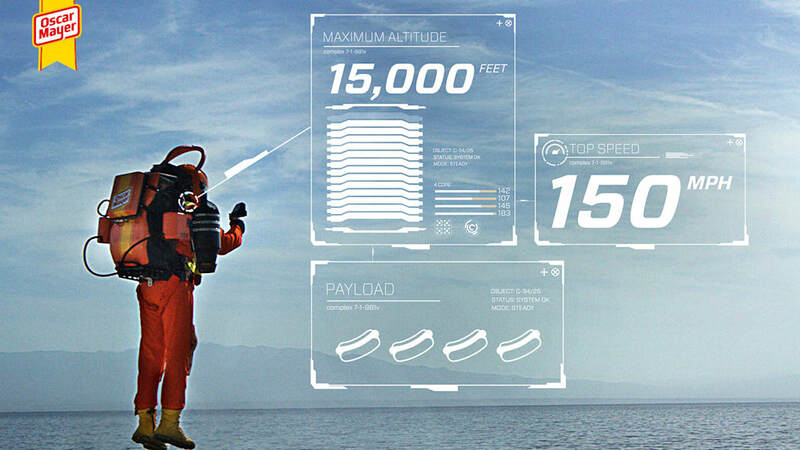 The company says that more people have walked on the moon than have flown with a jetpack — though only 12 men have walked on the moon, so we're not too sure about that claim. 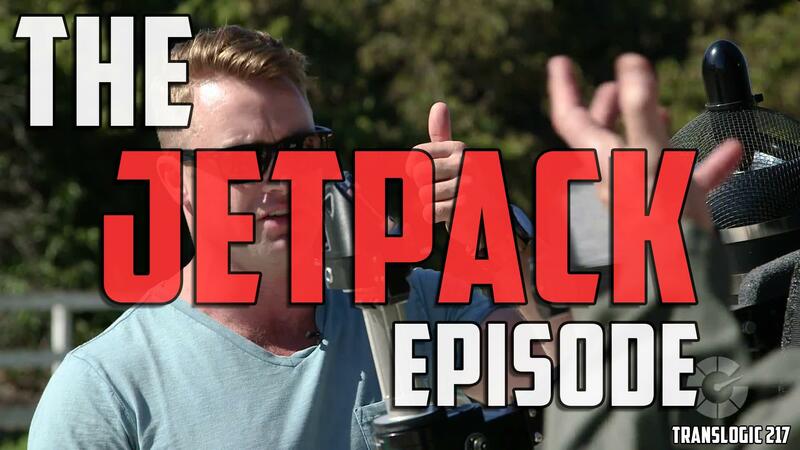 Nonetheless, jetpack travel is pretty rarified, and jetpack hotdog delivery is even rarer. 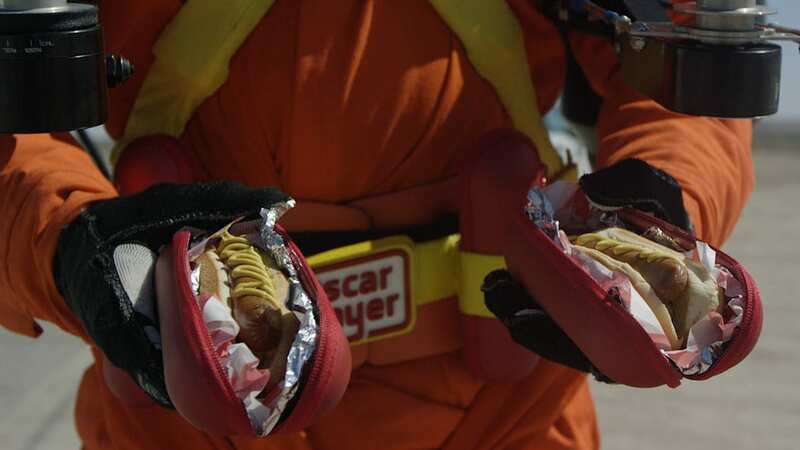 Anyway, the video above is entertaining and makes us wish we were an Oscar Mayer wiener jetpack pilot. 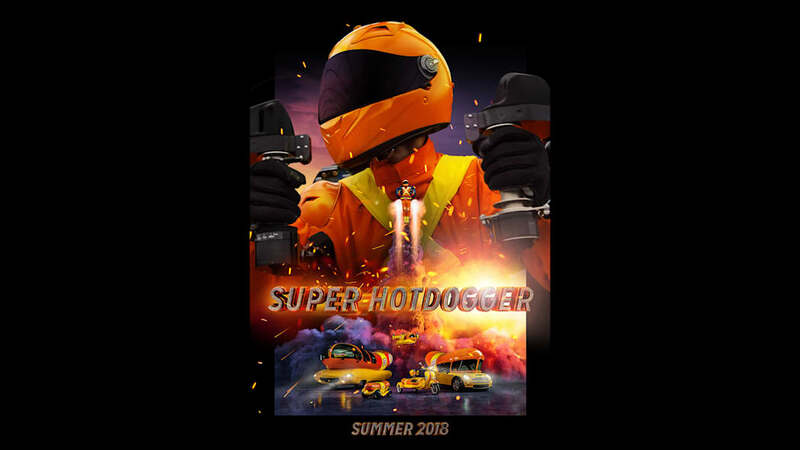 We expect there may be a slight amount of CGI involved, but at the same time, we truly want to believe that "Super Hotdogger" could deliver us utility-belt-mounted hotdogs with the convenience and panache only a jetpack can offer. 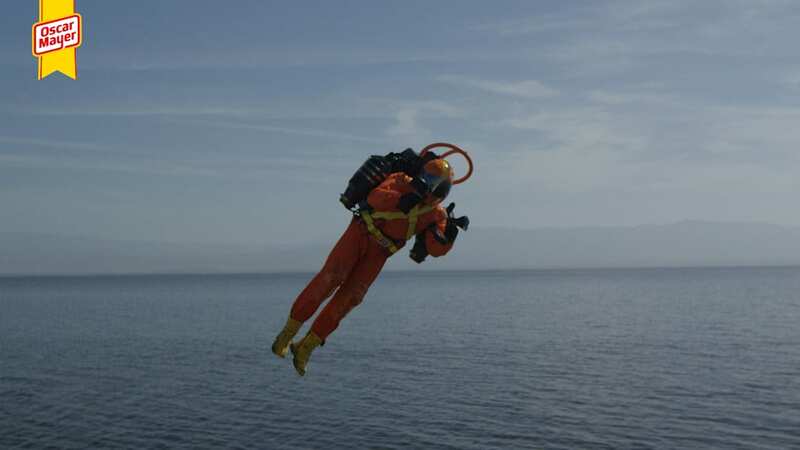 The jetpack in question appears to be the same model that we covered last year in an Autoblog "Translogic" episode, below. 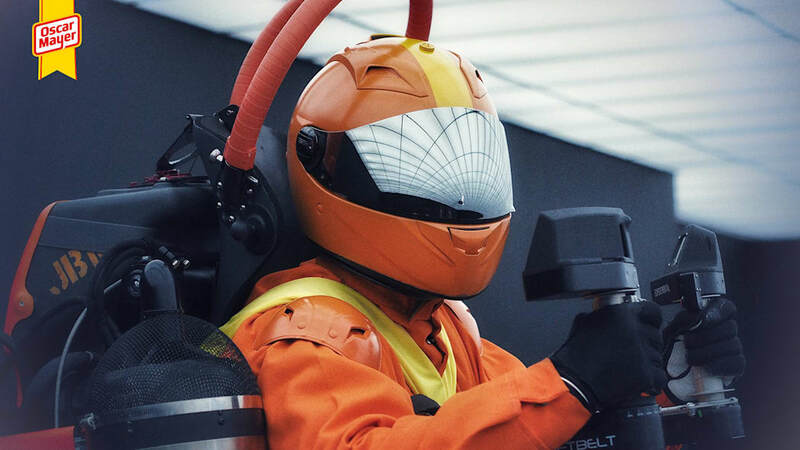 It's made by Jetpack Aviation, whose CEO, David Mayman, flew around the Statue of Liberty, which along with hotdogs is about as American as it gets. Check out the company's website and YouTube for some incredible videos of him flying. Could it be that David Mayman is Super Hotdogger's secret identity?